print colours, various paper qualities and design elements. your aesthetic and style of you as a couple and your wedding. regarding the design you have chosen via Email. A classic suite with a floral monogram, timeless typefaces and fine details. 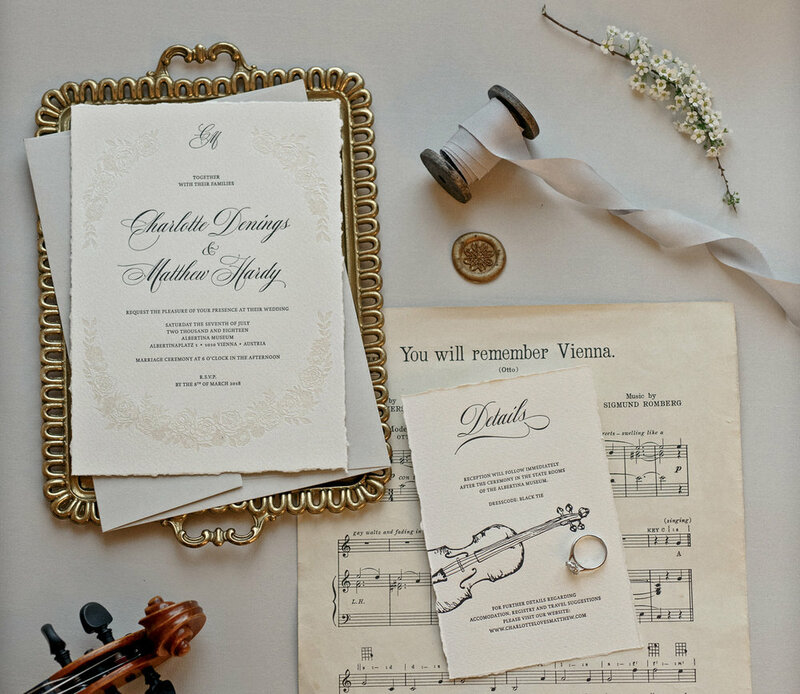 A classical-elegant wedding set with a monogram and an illustration of your wedding location. 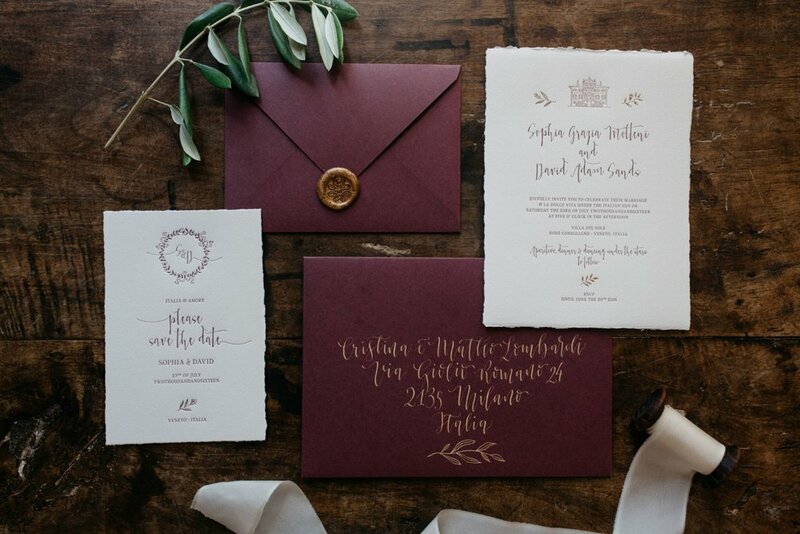 This suite comes with elaborate floral details and a timeless typography style. 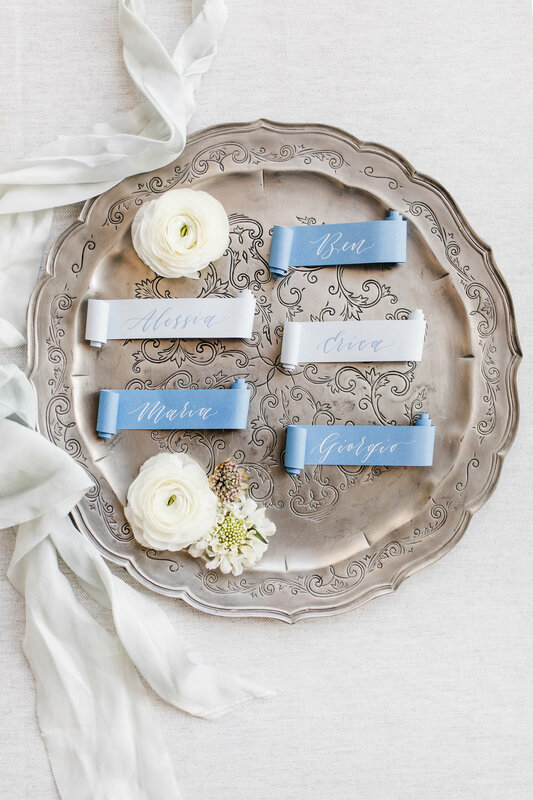 Complete with a monogram it is the perfect suite for elegant weddings. 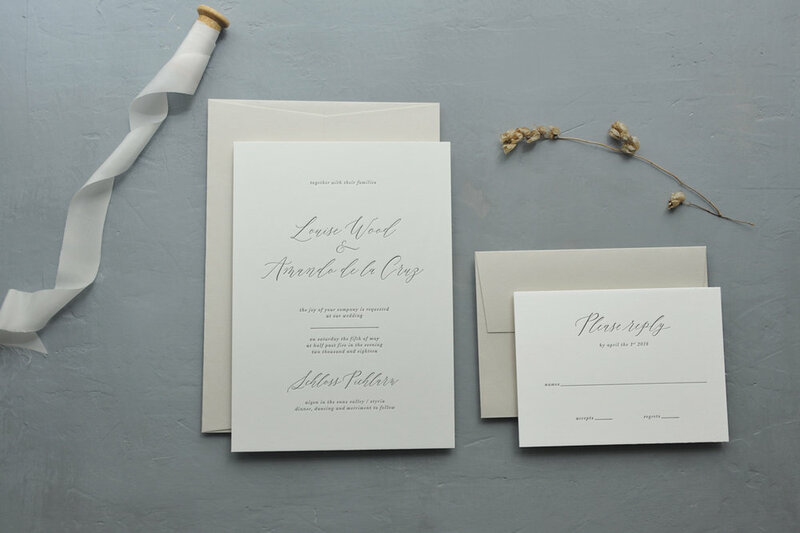 A puristic wedding suite with clean lines and romantic calligraphy details. 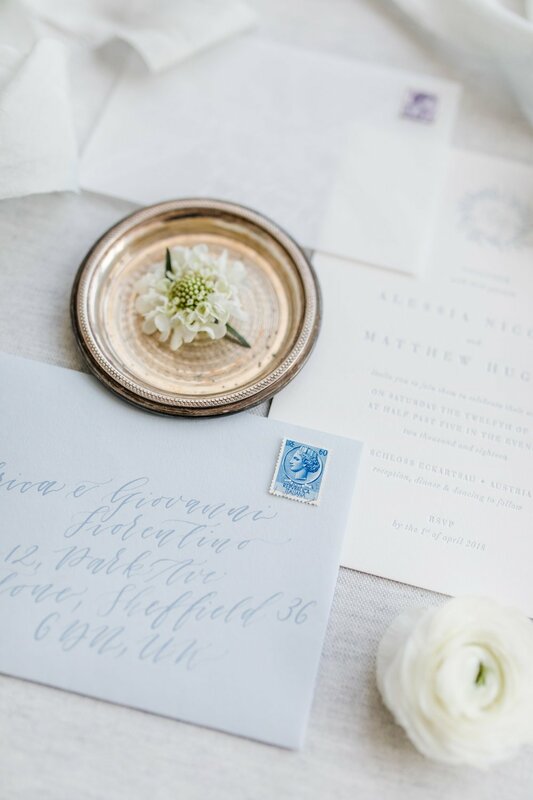 A romantic stationery suite with modern calligraphy, a monogram, delicate details and a custom illustration of your wedding location. 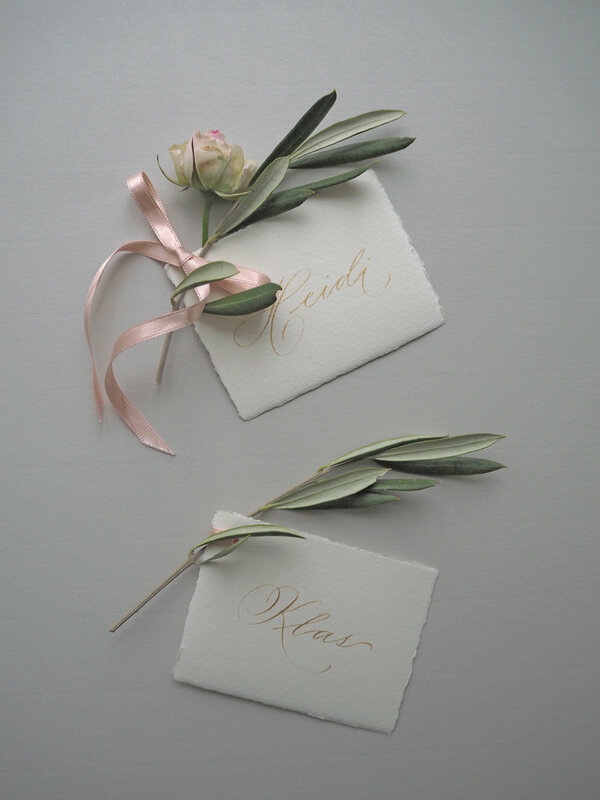 You are looking for that very special wedding stationery with a modern and elegant touch to it? You would love to choose your design from a wide range of high-quality samples? You would like the planning process to be short, sweet and easy? High-quality, finest paper, extraordinary design and sensual embossing/imprinting should set apart your wedding stationery from others? Then our Semi Costum Designs are perfect for you! Many of our most beloved design elements can be found in our wedding suites. With your individual text and your colors of preference they turn into works of art that will enchant your guests. The chosen design will be individually adapted in your colors of preference and modified with your personal text. That's how the design gets that special personal touch we are known for. Alongside the heart of each wedding stationery, the invitation, we offer save-the-date cards, RSVP cards, menu cards, place cards, gift tags & thank you cards. For us, the perfect service is a matter of the heart. We know just how stressful wedding preparations can be, which is why we supervise the additional digital print production for you and are happy to take care of any special requests. Our Semi Custom Designs are available in various different packages at fixed prices, which contain everything you need for your perfect wedding suite happiness. Of course, special requests and extras are possible — we are looking forward to hear about your inspiring ideas and wishes. Thanks for your interest! We will get back to you as soon as we can!